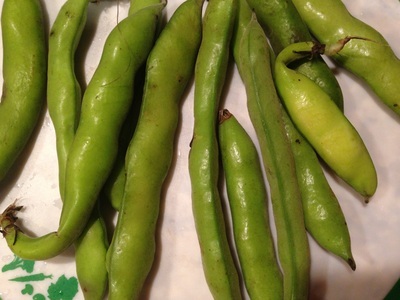 It takes a lot of Fava bean pods to give you many fava beans. 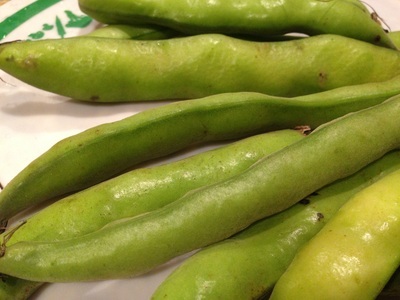 You will need a few pounds to give you a cup of beans. I decided to use the pods to make the broth for this soup. 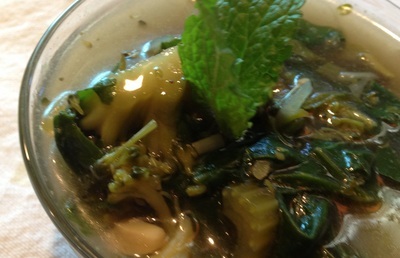 The broth came out rich in color and taste. It was fun to not discard the pods but to make them useful. 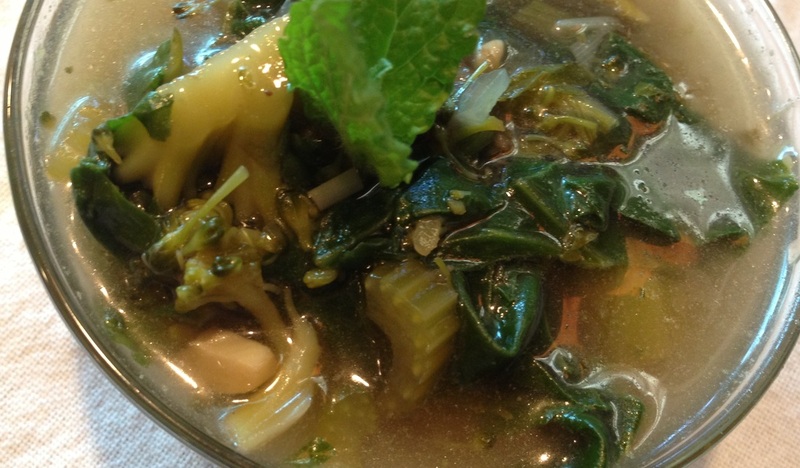 This soup has lots of green ingredients, I hope you love it. 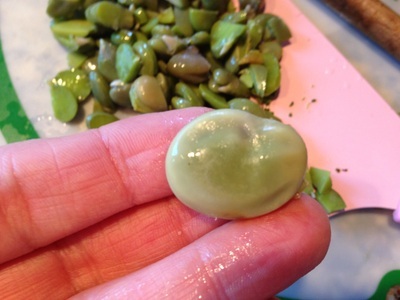 1 lb fava beans in pod covered with 5 cups distilled water. 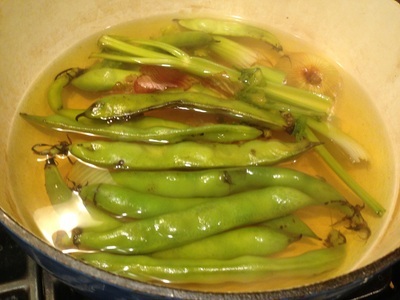 Bring beans to a boil and then turn down to a simmer. Cook until beans are finished about 15 minutes. Remove beans from pot and reserve liquid to use as broth. 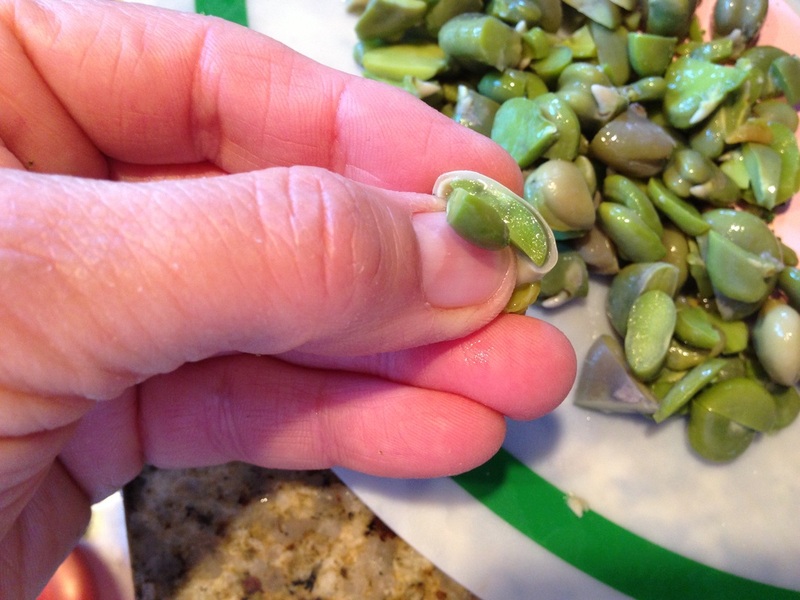 Allow pods to cool and then remove beans from pod by popping them out with your hands. 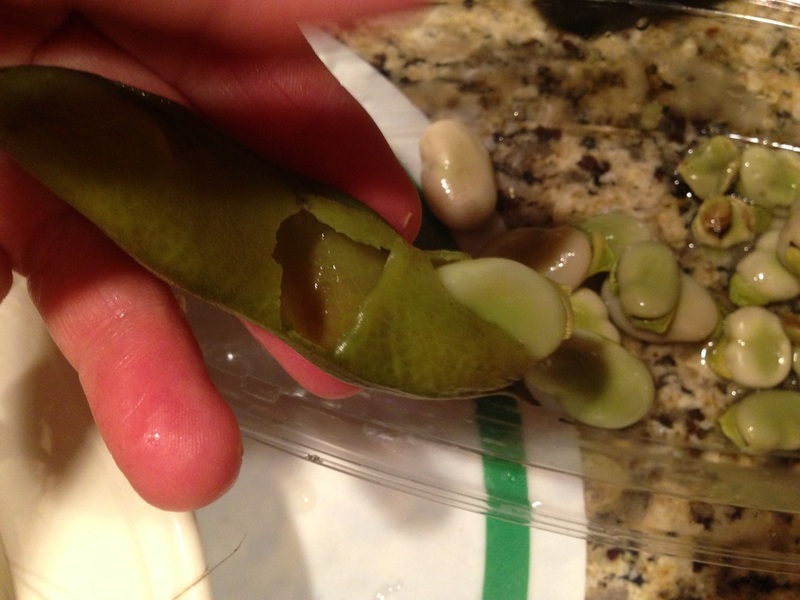 I made a slit in the pods and they slipped right out. 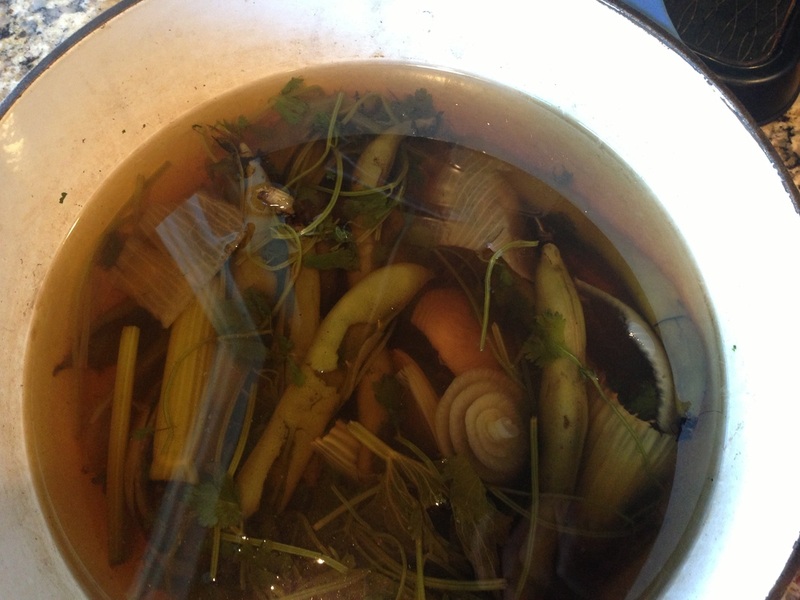 Put empty pods back in to the pot along with a few celery stalks and 1/2 onion sliced. 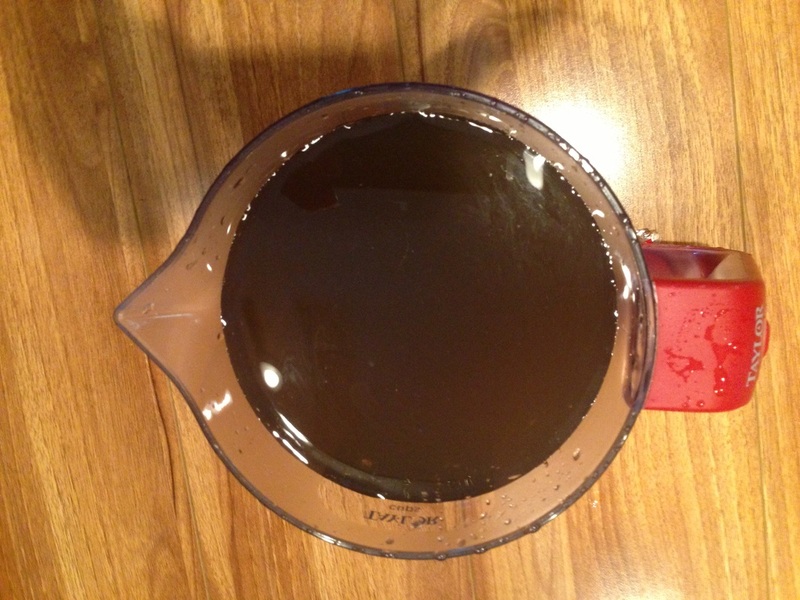 Bring broth back to a boil and cook until broth color is a rich brown. 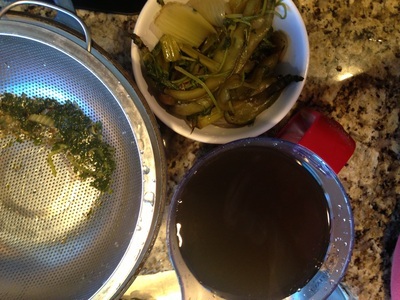 Discard all veggies from broth using a strainer. Set strained broth aside. This is a soup filled of green ingredients. 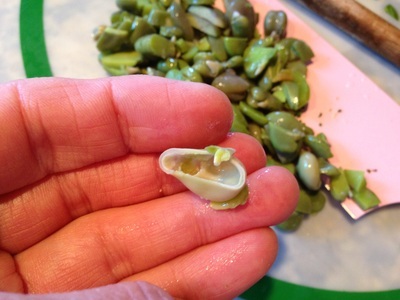 We are using the peeled fava bean to add in to the last step of the soup. In large soup pot saute shallots in drizzle of olive oil for a few minutes. Add celery and continue to cook for a few more minutes. 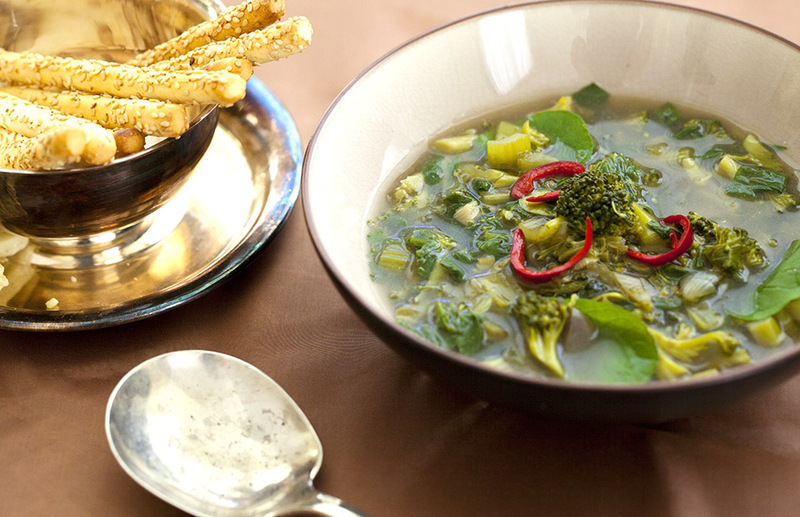 Add broccoli and broth. Add salt, pepper and red cayenne pepper. Allow to cook until broccoli and celery are cooked but still a bit firm about 15 minutes. 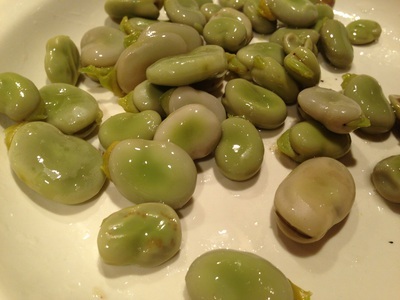 Working with Fava beans was fun. Making the broth from the discarded pods felt like I was not being wasteful. 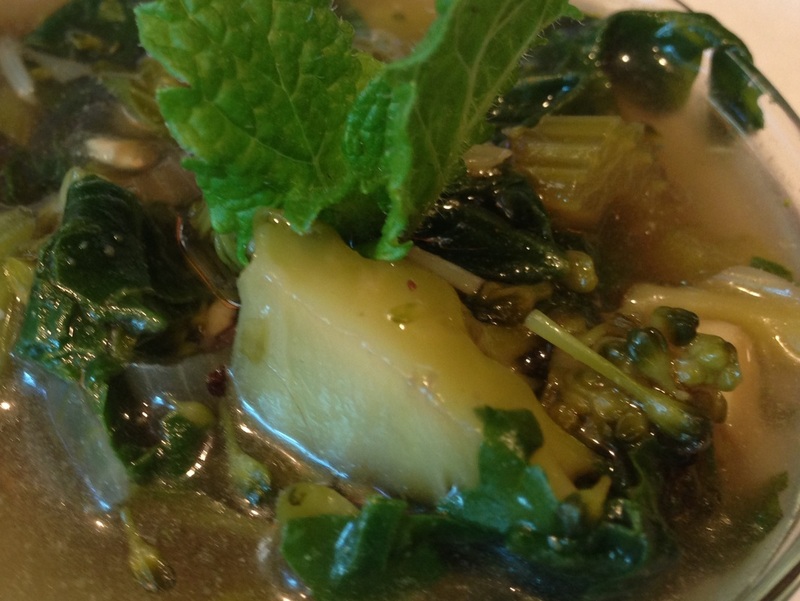 The soup has an interesting flavor and I hope you like this recipe.